Cold weather kicks in with more suddenness in the northern portions of the country. It seems that every year in the fall I’m left scrambling to find and organize coats, pants, underlayers, gloves and hats just moments before a fishing trip. Fishing from shore, or wading in a river requires typical protection, but if you add an open boat to that equation, and throw in a little boat spray, you’ll be needing far more than typical cold-weather gear. Overdressing will make you miserable (been there, often), and under-dressing can easily and drastically cut your time on the water. Fortunately, clothing manufacturers are creating specialized items that take a host of factors into consideration: moisture dissipation (breathability), heat retention/dissipation, stretch, durability, reduced weight/storage volume (to easily fit in vests and packs), reduced drying time, weatherproofing, even soil-proofing,… The list is almost endless, and they all address one, common goal: comfort. The following items delivered as promised. Interior boat space normally comes at a premium, so you can’t—or at least shouldn’t—“take it all with you,” meaning that one of the best features that boating gear can offer is compactness. Other requirements? I want boating garments to be light, windproof, close-fitting and warm. I searched for some items that included all of the parameters listed above and came up with two Patagonia items that were standouts. DAS Pants ($249) are arguably the finest and most boat-friendly (see photo) garment I’ve reviewed in years. They are regular-fitting pants that can be worn over heavier midlayers. Patagonia designers adorned them with every conceivable bell and whistle, including ankle snaps with rubberized cuffs that prevent leg creep, and full-leg zips for easy on/off. The Das Pant from Patagonia stows in its own compact bag. The pants feature PrimaLoft insulation throughout (PrimaLoft is a microfiber that helps your body retain its warmth) and a lightweight PU-coated nylon ripstop shell that is durable, highly water-resistant and windproof. According to Patagonia, their proprietary durable water repellent fabric finish, Deluge DWR, lasts substantially longer than standard DWRs; they claim that garments with the Deluge DWR finish have like-new repellency even after years of extensive use (note that the garments I used were not long-term tested). The pants have a highly tailored fit that maximizes warmth, but have enough give to still be worn as an over-pant. Also, these full-length pants come with their own stowage bag: they can literally be stuffed into a glove compartment. 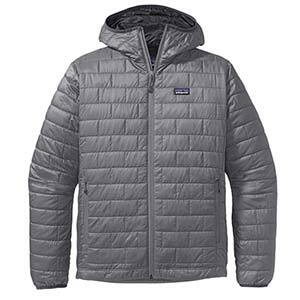 Patagonia’s Nano Puff Jacket ($199) is also filled with lightweight, highly compressible 60-g PrimaLoft ONE insulation. This regular fit jacket can serve double duty, as an insulating layer or outerwear in cold climates. Standard features are two zippered handwarmer pockets, elasticized cuffs and a dual-adjust drawcord hem to seal out wind and seal in warmth. Both Patagonia garments are highly compressible, water and wind-resistant, and provide excellent warmth for their weight – making them great boat partners. Wool is one of the world’s oldest fibers, an ancient staple that was likely used to clothe primitive man and shield him from the elements. Today, the most valuable lots of wool fibers come from New Zealand with its prized Merino sheep. If you’re looking for base layers, Merino wool is hard to beat because it’s non-itch-soft, breathable, extremely microbe resistant—and it keeps you toasty warm. Icebreaker is a relative new-comer to the merino game. 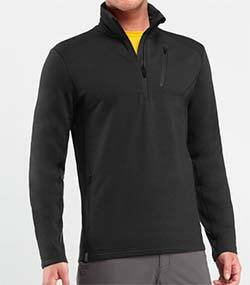 I tested their Sierra Long Sleeve Half-Zip Top ($189) and Kodiak Hoodie ($299): both are medium-weight garments that fit comfortably under windbreakers. Icebreaker gets full points for style: their wares wouldn’t be out of place at a fixie convention or skate park. All of their pieces boast contemporary styling, employing as few fabric panels as possible, yet remain perfectly comfortable while fishing. Attention to fit and construction detail makes this manufacturer a standout. Example: the Sierra zip top has an integrated hand-warmer-style pocket. Besides throwing in excellent quality hardware zips and pulls, Icebreaker goes the extra length by stain-guarding jackets and pants. Some of the jackets offer limited waterproofing as well. Icebreaker sizing is “international” standard, so I recommend going one size larger than you’d normally wear because the tailoring is definitely meant to be form-fitting. Bonus: Icebreaker guarantees all their garments to be machine washable. Take that, regular wool! If you’re cruising at moderate speeds and don’t need protection from spray, ditch the jacket and go with heavy wool alone. 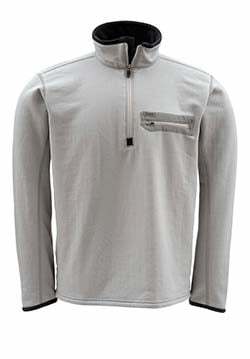 Simms offers the Montana Techwool Zip Top ($179), a rather unique item in that it’s made in the USA “from sheep to shirt, 100% percent”. The top uses local ranch and farm-sourced wool fibers for a moisture-dumping, heat-holding garment true to the company’s Made in Montana roots. Insulation against the elements is provided by 21-micron wool fibers, a fleece-lined collar and flatlock stitching provide ultimate next-to-skin comfort for performance on and off the water. It also features a chest zip pocket that will hold a wallet or small fly box. 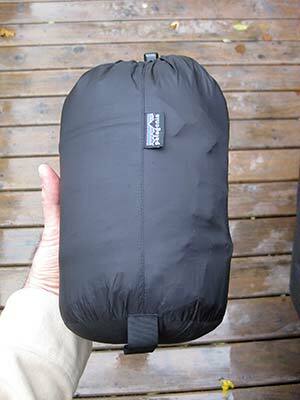 Also: heavy-duty Simms grade stitching all around, heavy duty zipper and doubled cuffs. Two colors available, so be sure to pick the right one because this top is built to last.